Prince Albert is an oasis on the southern edge of the Great Karoo in the Western Cape in South Africa. With a water supply from springs in the Swartberg Mountains, water runs through the village in furrows, bringing gardens and orchards to life and making the town one of the prettiest in the country, set in the middle of the arid Karoo Plains. 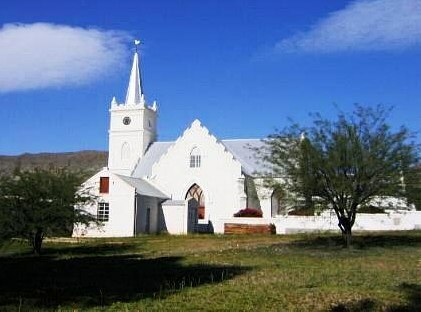 The town is serene and charming and filled with quaint and beautifully restored Cape Dutch, Karoo and Victorian buildings, a number of which are National Monuments. Originally founded in 1762 on a farm called Kweekvallei (Valley of Plenty) it was renamed Prince Albert in honor of Queen Victoria's consort, Prince Albert of Saxe-Coburg, when it obtained municipal status in 1845. Prince Albert has a small (but colourful) local population and in recent years has become home to many artists and fascinating people. Tourism is a major driver of the economy and the range of guest accommodation (both in town and on surrounding farms) caters for every taste and pocket. And the same goes for activities - from inspirational veld walks and scenic drives to galleries and fantastic restaurants that serve traditional Karoo cuisine at reasonable prices. Karoo lamb, olives, olive oil and homemade cheeses are must-sample local culinary delicacies. Visitors can enjoy the art gallery or community craft outlets, a wonderful Museum, a weavery, tannery and dairy. Shops stock Cape Mohair products, local olives and dried fruits (especially figs and apricots) from farms in the area. Four wine farms and wineries produce an excellent selection of wines and port. Prince Albert also holds festivals regularly, including the annual Prince Albert Olive Festival and several cultural, literary and agricultural events. Prince Albert is over 250 years old and has its fair share of stories. Go on a Ghost Tour through the town at night and learn why some of its residents just don’t want to leave! 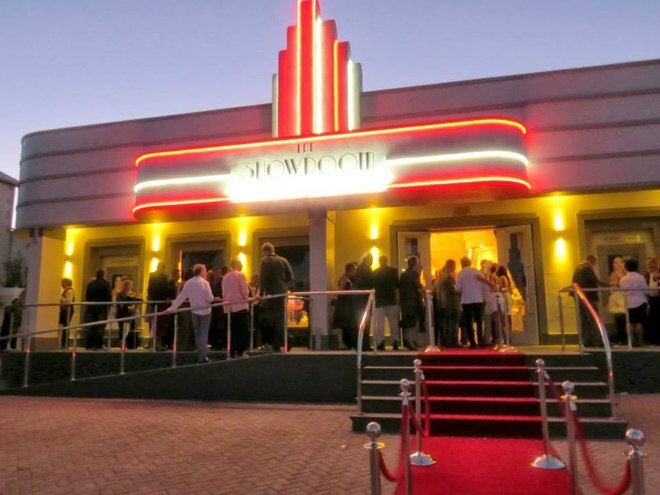 Explore the clear Karoo night skies with an astronomer or visit the Showroom Theatre which is housed in a beautiful art-deco building that was originally a car showroom. It is a must-see multi-cultural venue and a world class theatre and cinema. The area is well known for its natural beauty and endemic veld plants. Botanical excursions are major attractions as are hiking, mountain biking, birding and cycling. 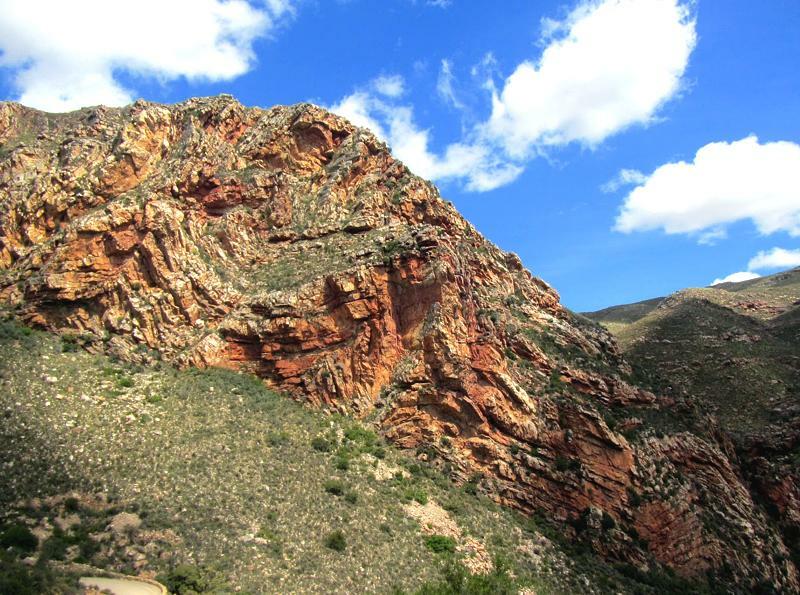 Take a circular drive across the Swartberg Pass and back through Meiringspoort, explore the scenic Weltevrede road or travel out towards the Gamkapoort Dam to watch the spectacular sunset. Prince Albert has a temperate climate with high temperatures in summer averaging 33–35 °C, and around 17 °C in winter, when it is mainly sunny with chilly nights. Midwinter minimums reach 2°C with frost in places and often some snow on the nearby Swartberg mountains.